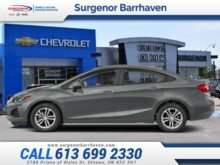 Whether you're zipping around city streets or navigating winding roads, this 2018 Chevy Cruze is made to work hard for you and look good doing it. 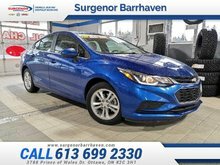 With a unique combination of entertainment technology, remarkable efficiency, and advanced safety features, this sporty compact car helps you get where you're going without missing a beat. 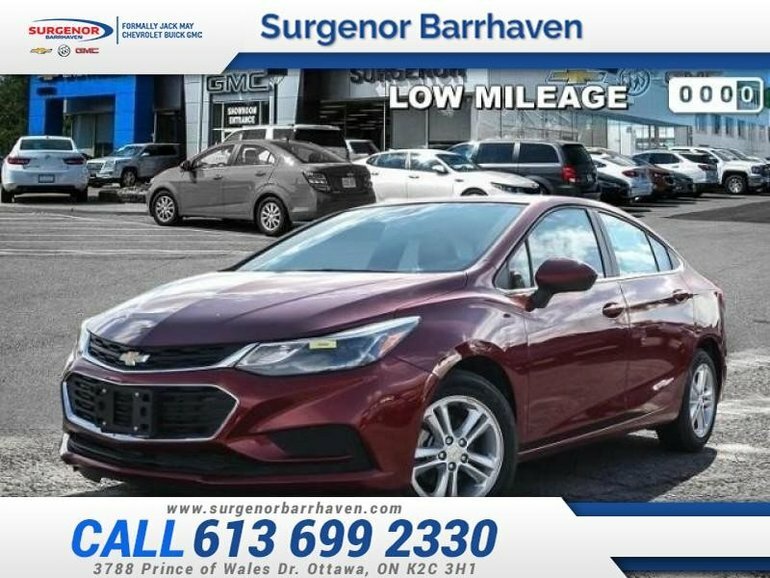 This low mileage sedan has just 94 kms and is a Certified Pre-Owned vehicle. It's cajun red in colour. It has an automatic transmission and is powered by a 1.4L I4 16V GDI DOHC Turbo engine. This vehicle has been upgraded with the following features: Lt Convenience Package. It has a certified used vehicle warranty for added peace of mind. 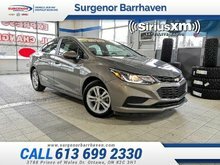 Buy this vehicle now for the lowest bi-weekly payment of $150.12 with $0 down for 84 months @ 6.99% APR O.A.C. ( Plus applicable taxes - Plus applicable fees ). See dealer for details. 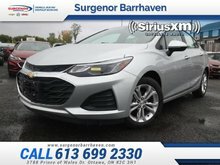 Interested in the 2018 Chevrolet Cruze LT - Certified - $150.12 B/W ?